A family vacation can be an incredibly fun and memorable adventure. A trip to an exotic place, like Hawaii or Alaska, is a chance to get away from the “same-old, same-old” and explore new cultures, regions and ways of life. Family vacations can get costly, as they typically involve several people like moms, dads, kids, friends, and other family members. One way to save for a family vacation is to open a dedicated savings account at a local bank. Then, every member of the family can contribute to the account on a regular basis, dedicating some of their earnings, paychecks and “birthday money” toward the vacation. An old-fashioned alternative to this idea is to write the word vacation on a cleaned-out pickle jar on your kitchen counter. Every time someone has spare change or wants to throw in a couple bucks, they can fill the jar. Over time you’d be surprised how the money adds up! Another good idea for planning a vacation is to do some research on various costs involved, such as the average price per plane ticket, cost of car rental and/or hotel stays, and fees associated with various attractions you’d like to visit. Set a “goal” to reach for– how much will you conceivably need? Perhaps make a chart showing your weekly progress toward saving money in order to reach that goal in a timely fashion. Post the chart on the kitchen fridge so you’re reminded daily of where you’re at monetarily. If you don’t mind asking, consider talking with relatives about your trip and letting them know you’d love for them to contribute in lieu of traditional birthday or holiday gifts. Cut some expenses such that you’re not always spending big bucks for fast food, Starbucks and/or stuff you don’t really need from area stores. Have a yard sale to get rid of stuff you no longer need, want or use and decide to apply that money toward your trip. 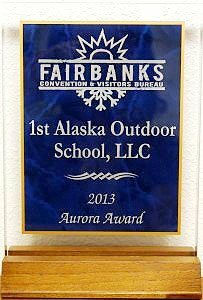 A great family vacation can include sightseeing tours from 1st Alaska Outdoor School operating out of Fairbanks in the great state of Alaska. For information about booking Alaska Arctic Circle Tours, call 907-590-5900— truly a family vacation worth saving money for!